Consists of 1 No. of Cone Type Pulveriser (Grinder) Grinding all Non abrasive materials upto 300 Mesh. 1Nos Of Screw Conveyor (material lifting from machine to Dresser) and Dresser designed to suit Nylon and steel sieves of different Mesh. Thorough sieving and excellent grading. 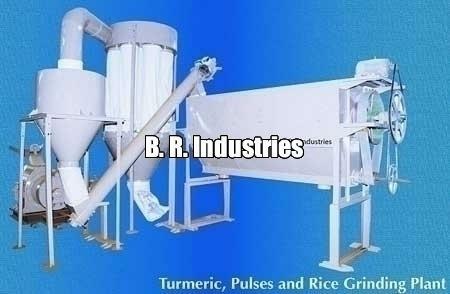 Plant is Suitable for Turmeric, Urad Dhall, Besan, Dry Ginger, Saw Dust, Coconut Shell, Pharmaceuticals, Chemicals, minerals.